Article by Writing IE Admin © 3 October 2017 Seamus Scanlon . The Long Wet Grass film which started as a prize winning flash fiction piece (2011 Fish Anthology) and then went on to become an award winning one act play (as part of The McGowan Trilogy) is now a short film with original music composed by Academy Award winner Marketa Irglova (Once). The film is set in County Mayo and was shot there in late 2016. The Long Wet Grass flash fiction piece has been translated into French, Spanish, Irish, Arabic and Farsi and these translations are forthcoming in the collection Afterburn (Arlen House, 2017). After hearing Seamus read at the Cell Theater in New York the owner Nancy Manocherian asked him to adapt the story as a play and after many rewrites it was produced in New York in September 2014, directed by Kira Simring. 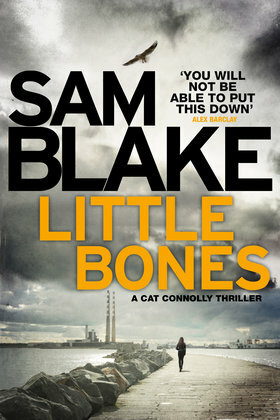 The play was subsequently staged in Galway, Westport, Hastings (UK), Gorey, Kilmuckridge, Moate and Palmerstown. A Japanese language version is scheduled for Tokyo in July 2018. Because the play version of The Long Wet Grass was received well, Seamus and Anna Nugent – the actress in the original New York stage version – collaborated on a screen play. They also investigated shooting the film in the US where they were both based but it did not feel right. New Jersey is not Mayo! When Anna moved back to Ireland in the Summer of 2016, though, the film came together quickly. They got three days of sunshine in Mayo in October for a start! Logistical support on the ground with housing, food, transport, locations and props was provided by locals from Foxford, Swinford, Pontoon, Westport and Castlebar. Two local children were also in the cast. After Academy Award winner Marketa Irglova read the play and the fiction piece she agreed to compose the music for the film, which includes three new songs. Joining Anna in the film is Paul Nugent who also starred opposite her in the US and UK stage productions. The crew were all from Mayo except for cinematographer Lakshika Serasinhe (Galway) and director Justin Davey (London). 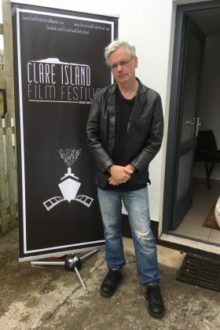 The Irish premiere was in Mayo at The Clare Island Film Festival – the US premiere at The San Francisco Irish Film Festival and the New York premiere was at NYU’s Cantor Film Center as part of Irish Screen America. The next festival outings are at the IndieCork Festival (Oct 14) and the Kerry Film Festival (Oct 20).